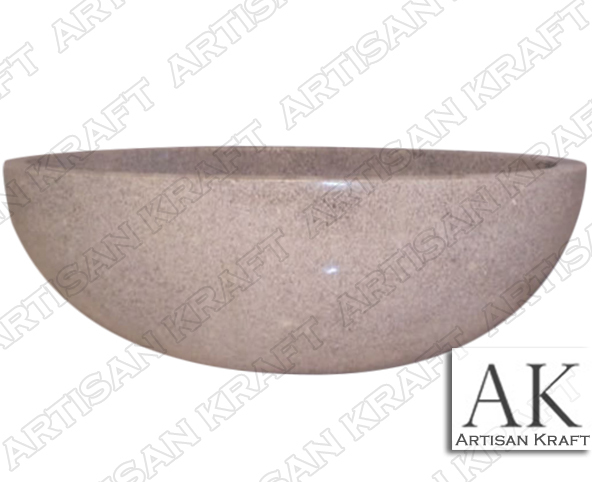 Double ended oval stone tub carved from light grey granite. The inside and outside are polished for a finished classic design. Bathtub can be used as a drop in or freestanding round tub. Our granite baths are carved from a single piece of a large block. A extraordinary feat in artistry and craftsmanship. Great oval design option for a freestanding stone bathtub.